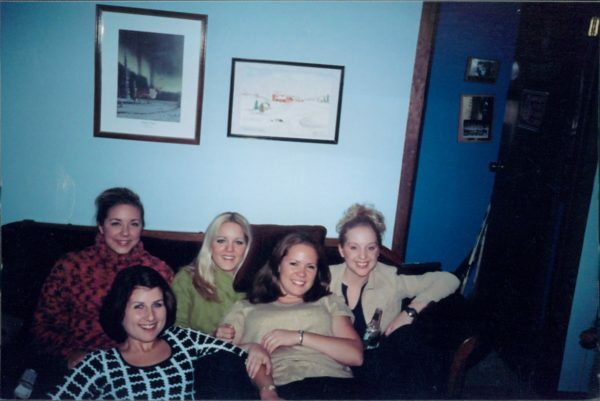 I have this group of girlfriends who have been by my side since high school, some 20 years ago and I realize how fortunate I am to still have them in my life, playing a role just as pivotal as when we were 16. Granted we don't talk much anymore about the boys we have crushes on and likely our conversations are mostly about our kids, but the one thing that has never changed is that we still make time for our friendships. Obviously our group has expanded and we've met some wonderful women that we're grateful to have in our lives, in fact we have a splurge group with most of these women and I look forward every month to seeing them. 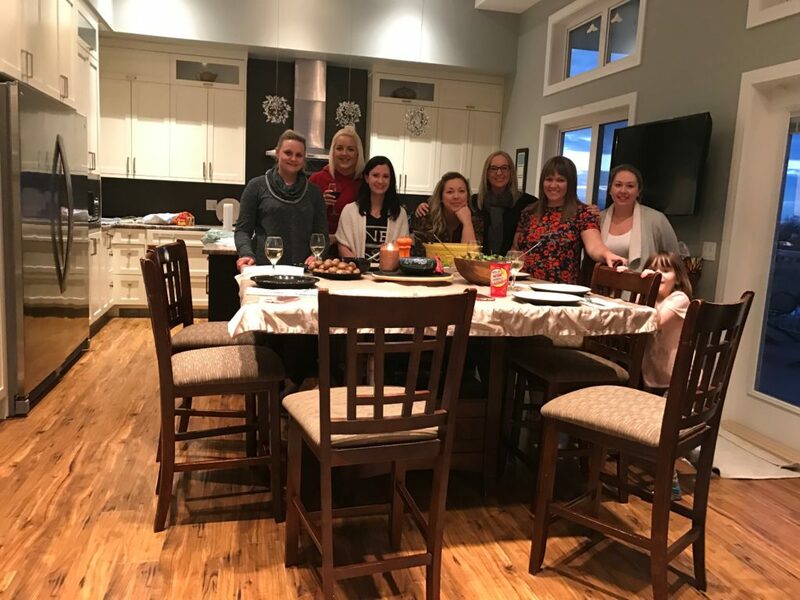 In January I decided I wanted to play up on the talents and gifts that my friends have and decided to revamp our typical ladies' night out (usually a movie or supper out) into a ladies' night in. This is harder than I thought it would be because apparently all the hockey moms are social butterflies. Weird. I created a survey in surveymonkey and tried to get a date in January and early Feb...but not one date would work so I tried again and we settled on Feb 17th. 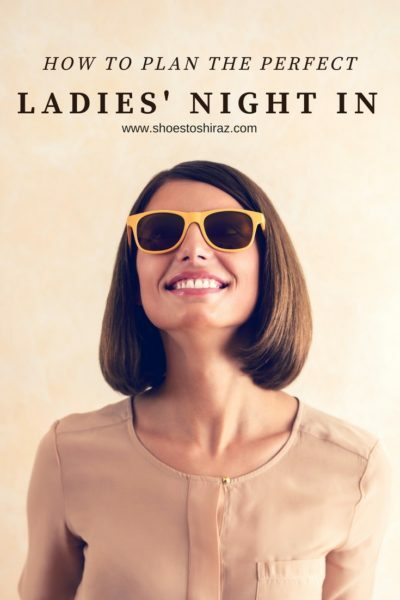 Lately I have been using canva to make all my graphics- I really love their mobile app because sometimes I like to text something random to my friends...like an invitation to a ladies' night in. For awhile we have been talking with Alynne (our resident Chartered Accountant) (well, Christy is too but she's too far away)...what was I talking about? Oh ya, we had been talking to Alynne about how she budgets...she was actually one of my contributors on my managing money post (because I am definitely not fit to give you advice on that). The girls' wanted to know how she did her household budget so she was happy to share. Carmen had also talked about wanting to make vision boards, so the theme for our first night came together as budgeting + vision boards (and obviously wine). Carmen and I got the supplies for vision boards and Alynne put together a presentation for the group. We giggled, shared stories, nodded in support of our troubles while we enjoyed our meal. And then Alynne gave a very real, honest and raw presentation where there may or may not have been tears. Man, I love my friends. When someone can make a 30 minute full out presentation on budgeting interesting, you know you have a talented bunch. She had an extremely elaborate excel spreadsheet that she walked us through, making it all sound so easy and we all had great questions. I should have given prizes. After her talk, we had dessert and even talked more budget and shared our troubles and ideas. We actually ran out of time and didn't get to do our vision boards, so it will be added to our agenda for our next ladies' night in- that guess what, I've already started planning....so back to step one. Except this time I'm using Google Forms to survey the girls for their free nights in March and April. I bet you have a great group of girlfriends and if you put your minds together, you could come up with your own themed ladies' night in. I would love to hear your ideas! You are the queen planner. You should have a ladies night in on that. Or how to online shop. How fun. I wish I had a great group of lady friends. It's always been difficult for me. LOVE this, what a fun looking group and Ladies night's in are so fun, so much laughter!!! I am saddened that I do not still keep in touch with anyone from HS or college reguarly. You ARE so lucky to have kept up with your friends through the years. I hardly have any friends left from my 20's, let alone my teens. This looks like a really fun girls night. That is awesome to have such amazing friends! I love that you planned it all out! Your relationships with your friends are so amazing. Love this idea - if only I could get everybody to show up! Love this! I can't wait to have ladies' night with you in Toronto! You have such deep relationships with these special friends. Like your own sorority without all the gossipy drama and competitiveness. What would your vision boards have looked like? Would they have been related to budgeting somehow? Would love to know more. Maybe a future blog post? It is interesting to read the comments for I, too, have very few girl friends left from high school or college days. Due to moving a lot, and friends have moved all around the US, plus, I have found that as I got older and busier with life, kids, work, husband, being a hockey takes up ALOT of time, that I just don't have many girlfriends!! Seems to be a familiar thread.... Maybe it is time do do what you did, have Girl's Night Out with a theme, food, and wine but invite new girlfriends to form those connections! Great stealable idea!! I like the survey monkey part too! Many thnaks for sharing!! It's special to have a good group of girlfriends to go through life with. You guys look so cute too! Oh I love this! I don't have nearly enough girls nights but it's something I keep telling myself I need to plan. My closest friends are friends I've had since middle school (one since elementary school!) and I'm lucky to live near most of them. I love the idea of having a theme for the evening, I need to try that! I am definitely very lucky to have them. lol- i've always wanted to be in a sorority. Vision boards will be a post in March or April- depending on what we can do for dates. 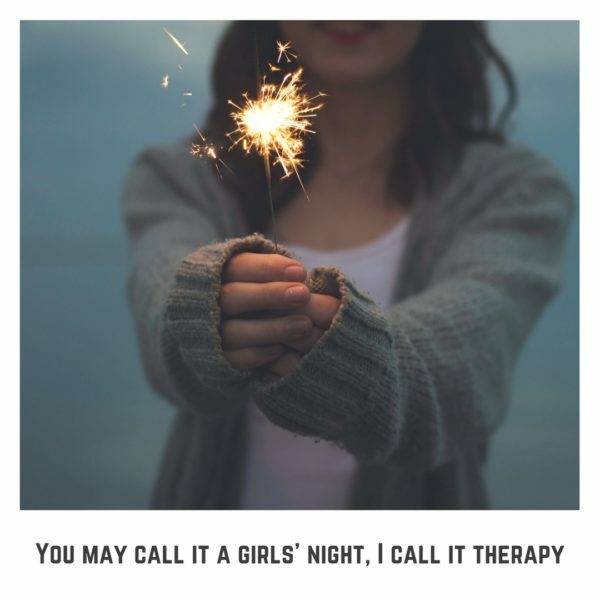 I agree- totally refreshing to have a girls' night. They are one of the biggest blessings in my life. lol. I might invite you. I would be your friend- I think we'd get along great! Perfect ideas - now if only my longtime friends didn't live scattered across the US. You are so lucky to have a core group of friends (and living so close)! Love this! It sounds like you have some pretty excellent friends. I had a girls night tonight- things like that just can't be beat! Love this! 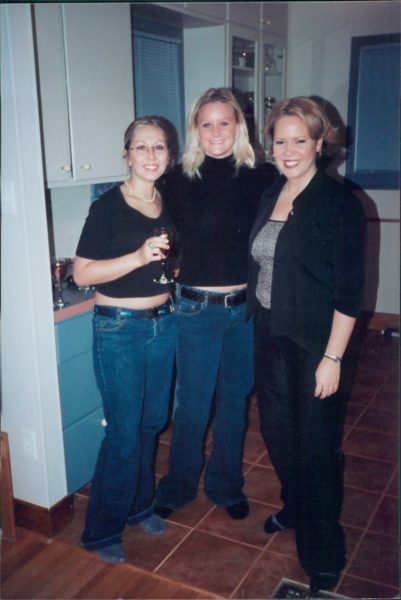 We did a monthly ladies night in in my old neighborhood and I miss it! I love this so much. You are so creative it blows my mind sometimes. It's all about those girlfriends, and even more amazing that you've been together since high school! Ha. You make me laugh.